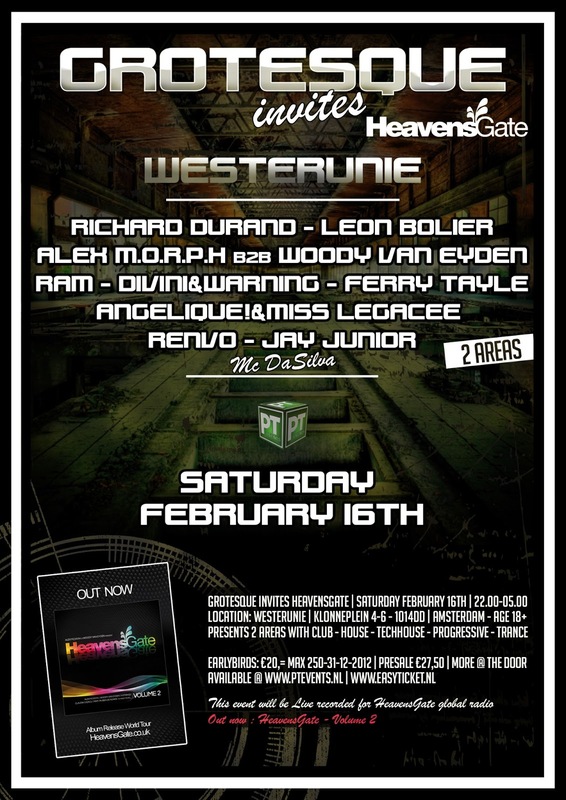 After the overwhelming success of the Grotesque Indoor Festival 2012, where in a fully packed Maassilo nearly 4000 visitors were brought in ecstasy, PT Events will strike down in the Westerunie Amsterdam for a brand new edition of Grotesque. 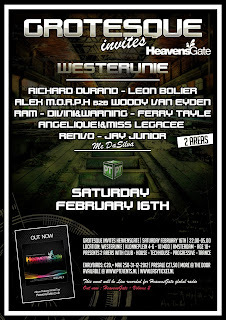 Saturday the 16th of February it’s time for Grotesque invites HeavensGate, with 2 areas and up to 1000 visitors it will be slightly smaller than, but still as spectacular as the last one. “And a legendary evening it really was in last November. PT Events performed above all expectations and the Grotesque Indoor Festival 2012 went into the history books as the ultimate entertainment experience. With this vision we have worked the last few years and also in the years ahead it will be the guideline in our events”, the men of PT Events said. 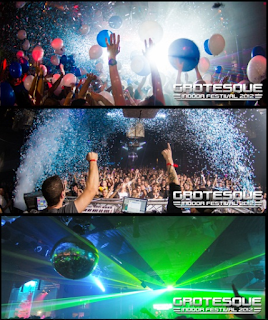 Grotesque, just a great night out! Also during this club night, Grotesque ensures a wide range of music in two breathtaking areas. Besides that, Grotesque provides you in great night out in a most relaxing atmosphere where everything is taken care of, down to the last details. Early Bird tickets sold out rapidly! Within 2 weeks the first 250 tickets were completely sold out! This is the best confirmation that everyone is looking forward to the return of this next edition of Grotesque. From now on you can buy tickets for € 27.50 at the PT website or Easyticket.nl. The industrial character of the Westerunie is in fact quite similar to the Facotry010 in Rotterdam and it fits perfectly to the wishes of PT Events and their Grotesque. Additionally, this prime location in the Westerpark is not just another high quality club, with friendly staff. It is a 100% party venue where PT Events will achieve everything for the optimal entertainment experience! Tune in for the Grotesque Podcast on I-Tunes.